Gerakan Deputy Speaker Syed Abdul Razak Alsagoff has hit out at the kurang ajar (taught less) elements of society in Bandar Sri Damansara (BSD) rearing their ugly head hours before Malaysians celebrate Hari Raya Aidil Fitri on Sunday. 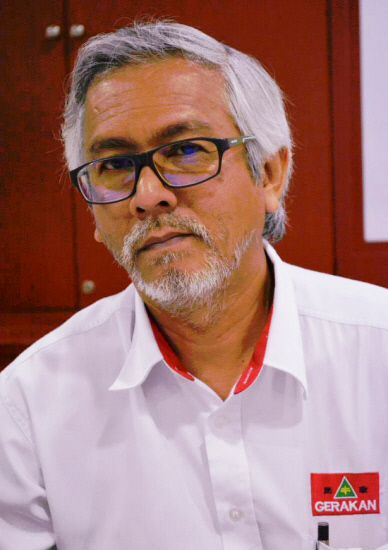 “I have lodged a report with the Bandar Sri Damansara police station at about 4pm today. I urge the police to step up their crime prevention patrols or at least raise their alertness to nab the culprits,” he added. One of the 50 Hari Raya festive greeting banners that is still “surviving” near the BSD police station. 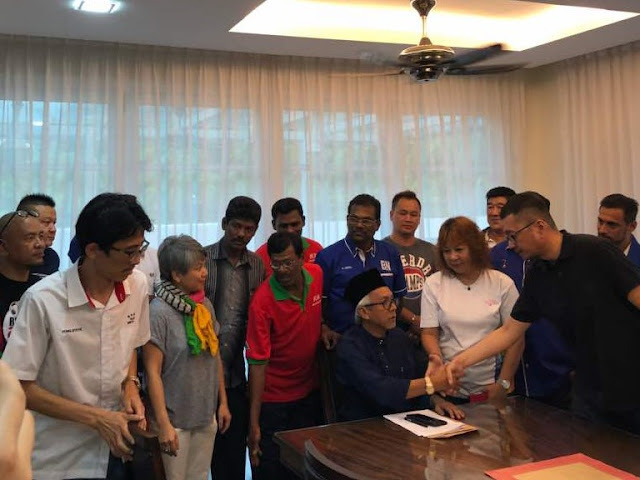 Syed Razak, who is Gerakan’s nominee to contest Bukit Lanjan N.37 in the coming 14th General Election (GE14), said he had put up 50 banners in Bukit Lanjan to wish Malaysians “Selamat Hari Raya Aidil Fitri Maaf Zahir & Batin”. “Four of the banners were cut and are now missing. I have yet to check the other areas. I urge the police to treat the matter seriously. “The banners are festive greetings, not political messages. If this is happening during the Ramadhan Holy Month, what will the hostility be like during GE14?” he asked. Syed Razak, a.k.a Pek Moh Bukit Lanjan, said such kurang ajar acts had happened last Christmas and Chinese New Year “but I did not lodge any police report”. “This time around, I am very, very upset and am taking such hostile acts seriously. They are also disrespecting Muslims and Islam,” he added. He said responsible Malaysians who treasure peace and harmony would not resort to such acts that could ignite public disorder.